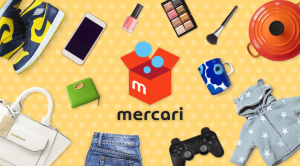 We are pleased to introduce our Proxy Shopping Service at Mercari Japan. I can not buy Japanese Goods through Mercari Japan!! Have you had such problem? Seller do not accept payment from out side of Japan. Seller do not ship goods to overseas. Seller do not ship goods to local address of forwarding service company. Seller can not communicate in English. “vv.Japan” can solve your problem !! and ship to your place at lower cost. Our Handling charge is only JPY500 per item regardless price of goods. You send us inquiry from inquiry form which include url of goods what you want to buy. We send you quotation in Japanese Yen. Please refer to Estimation Example. You send us the 1st payment which includes cost of goods, local delivery fee and our handling charge. We can accept Paypal. After receipt of payment, we purchase goods immediately. After arrival goods at our warehouse, we will make suitable packing and inform you of shipping fee to your place. You send us the 2nd payment which includes shipping fee. If there is any difference in the 1st payment, it will be adjusted with the 2nd payment. Sum of 1st and 2nd payment is payable amount. We ship goods and inform you of tracking number. Please send us your inquiry through this form. Can you negotiate with the seller to discount price? No. We can not negotiate price with the seller. If you have question to seller, please ask by yourself. We don’t have translation service. I negotiated with the seller and seller accept discount. Can you purchase those goods on behalf of me? We are unable to purchase those goods on behalf of you. I want to know total payable amount. How do you calculate? We provide estimation of some common cases. Please visit Estimation Example Page. I want you to ship goods to other address than PayPal registered. Can you ship goods to any place? In case of payment by PayPal, we are unable to ship to other address than PayPal registered. Therefore, before sending payment, please update shipping address with PayPal. We never ship goods to other person and other address. Can I select shipping method? Yes, you can choose shipping method ie, EMS, SAL, E-Packet, DHL etc. We will quote shipping fee accordingly when goods are ready to ship. Can you ship to local address in Japan? No. We can not accept shipment to local address, hotel etc. in Japan. We accept export only. When can you ship goods to me? Normally it takes 3-4 days to receive goods. If seller is busy, they send goods weekend. In that case, it takes 1 week or so. If seller can not sell goods, can you return money? Sometimes seller do not have stock or goods are damaged, seller cancel to sell the goods. Then we will return money to you. We don’t need our handling fee for this case. Can I resell the goods what I purchased through vv.Japan? Yes, we welcome business customers. We can ship goods of Mercari, Yahoo Auction, Rakuten< Amazon etc. together. So you can save shipping cost. Do you accept Paypal only? In addition to Paypal, we can accept remittance in TW$, HK$, SG$ and JPY. We can not accept credit card, but you can use credit card through Paypal. Cost of Paypal is (4% and JPY250) per payment. Recently we started Transferwise for JPY. I want to buy at Rakuten and other online store. Can you ship them by one package? Yes, we can consolidate goods from Mercari, Rakuma, Rakuten, Otamart, Amazon and other online stores etc. and make one package. So you can save shipping cost. I want to buy some photo cards from same seller, but those cards should be selected and seller will make exclusive listing. Can you accept such order? No, we can not accept such order because we need to communicate with seller to make exclusive listing. It is very difficult for us. I want to know international shipping fee from your warehouse to my place. You can check shipping fee and delivery time here Japan Post Office.